Tom’s out at SXSW and found some interesting things in Austin bars. 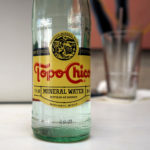 He and Molly discuss trusting a beer sommelier, cool vending machines in the US, the phenomenon of Topo Chico, and matte car paint. Vending machines: They are a thing, the car one in any case. Raleigh, NC has one of the Carvana ones as well, it’s along the main beltline highway that circles mid-town.